ISLE OF MAN – Microgaming catapults into October with its latest release, Cash of Kingdoms online slot, developed by Slingshot Studios exclusively for Microgaming operators. 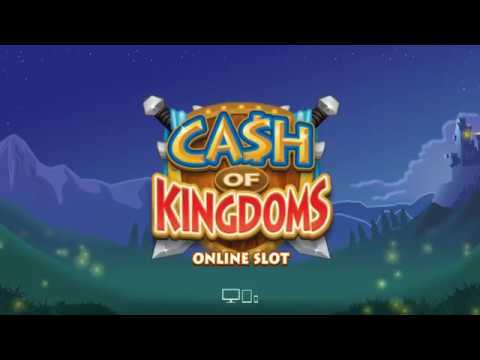 First teased by Microgaming at ICE Totally Gaming 2018, Cash of Kingdoms is a five by three reel, 15 payline online slot loaded with exciting features, vibrant graphics and a band of brave heroes ready to accompany players on their quest for fortune and glory. The medieval-themed online slot introduces five fearless characters in the dashing Knight, magical Mage, crafty Rogue, bombastic Bombardier and feisty Archer, who are geared for big reel action as symbols in the game. Occurring in both the base game and free spins, Invading Wilds™ is a great feature designed to unleash a barrage of flaming arrows and swishing swords to turn reels wild. If the player lands a full stack of wilds on reel 2 or 4, Invading Wilds™ will turn an adjacent reel wild. If a full stack of wilds lands on reels 2 and 4, then the middle reel turns wild. With the game paying in both directions, this means that every Invading Wilds™ feature will pay. Players can raise their bounty in free spins, which can be triggered during the base game by landing three scatter symbols. In free spins, when a full stack of wilds lands on reels 2 and 4, the third reel will turn wild and an additional 2x multiplier is awarded. During the round, each landed scatter will award an additional free spin, granting a fun-filled game as players spin for epic rewards. We are extremely excited to release Cash of Kingdoms, the first game under our studio brand. Our team has worked hard building a product we hope players will have as much fun playing as we’ve had creating. We’ve been anticipating the release of Cash of Kingdoms ever since Microgaming previewed the game at ICE Totally Gaming with a spectacular acrobatic foot archer on our medieval-themed stand. Built with strong and regular features, which are amplified by paying both ways, the game delivers plenty of on-screen action on any device, together with a popular theme that is sure to make it a player favourite. Slingshot Studios has brought a dynamic addition to Microgaming’s diverse portfolio with Cash of Kingdoms, and we cannot wait to unveil more exclusive creations from them in the coming months.